At Pinnacle Place, our residents receive the added advantages of companionship, optional planned social activities, scheduled transportation, available meals, maintenance-free living, and peace of mind from our round-the-clock state-of-the-art emergency response system. End the headaches of yard work, snow shoveling, grocery shopping, and household chores. Personal care services are available to residents of Pinnacle Place who require limited assistance. Personal assistance is provided by our certified nursing assistants, and includes medication reminders, bathing assistance and dressing assistance. The Wellness Nurse assesses each resident's current needs and works with them to customize a Resident Service Plan. Feel secure knowing that you have priority access to Big Meadows Nursing Home should your needs change. Pinnacle Place offers home cooked, nutritionally balanced meals daily in our lovely dining room. Residents are provided with three meals per day. Snacks and beverages are available 24 hours a day. All apartments are cleaned on a weekly basis by our staff. 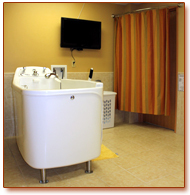 Towels, washcloths, sheets and pillow cases are also laundered by our staff. 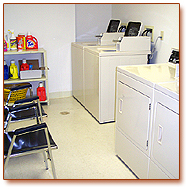 Residents are provided with personal laundry service, and may also utilize the on-site laundry facilities. 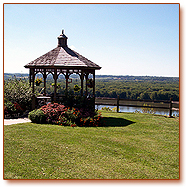 Pinnacle Place provides an active social calendar, including a variety of recreational outings each month. Activities are optional and include Bingo, Garden Club, Bible Study, exercise classes, cards, travelogues, musical entertainment, and trips to community events. 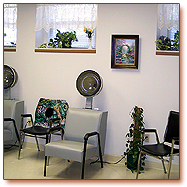 Residents can visit our on-site Beauty and Barber shop for all of their hair care needs. Our licensed cosmetologist makes weekly visits. Residents are able to gather, socialize and relax in our lounge. The area includes game tables and a large screen TV. There is also a VCR and DVD player available for use. This is a great chance for residents to gather and enjoy their favorite movies on the "Big Screen"! Pinnacle Place has wireless internet connectivity available in all apartments, free of charge. A computer workstation with internet access is available for resident use. This is a great way to keep in touch with out-of-town family or to just have fund surfing the web. Cable television service is included at no cost to residents. The package includes over 75 channels to enjoy. Transportation to and from medical appointments in our wheelchair accessible van can be arranged by our staff. Enjoy a relaxing whirlpool in our newly remodeled spa.